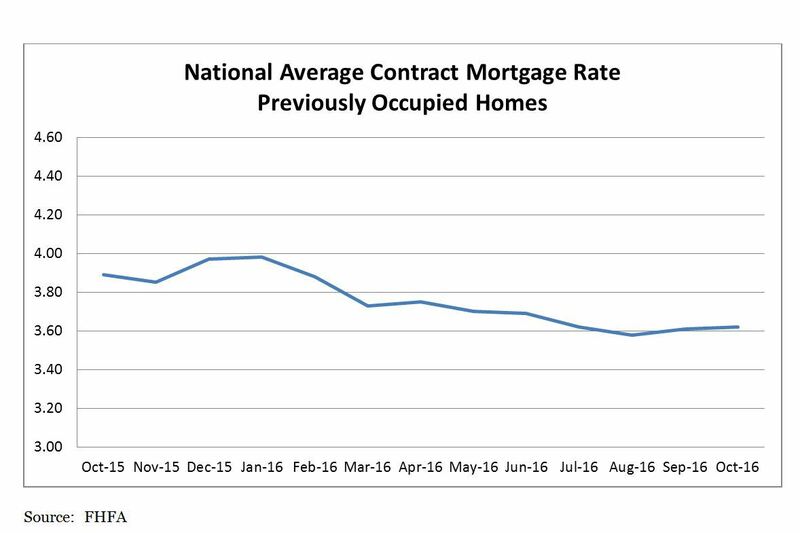 The national average contract mortgage rate for previously occupied homes by combined lenders index was 3.62 percent for loans closed in late October. This is up 1 basis point from 3.61 percent in September. The average loan amount for all loans was $312,700 in October, up $9,800 from $302,900 in September. October’s 56,500 foreclosure starts was the lowest one-month total in nearly 12 years. Active foreclosure inventory continues to improve — just over 500,000 active foreclosure cases remain. Prepayment activity was down slightly from September but remains 37 percent above last year’s level. The National Home Price Index rose 5.5 percent year-over-year in September 2016. This is up from August 2016’s 5.1 percent year-over-year gain. The national index posted a month-over-month gain of 0.4 percent in September 2016. 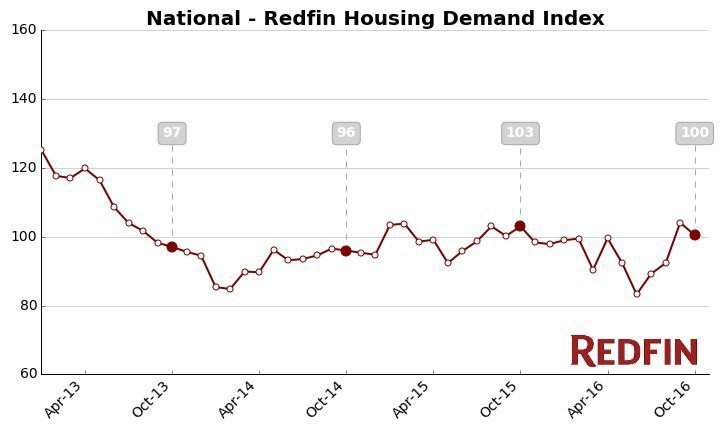 The Redfin Housing Demand Index declined 3.5 percent from September to a seasonally-adjusted level of 100 in October. 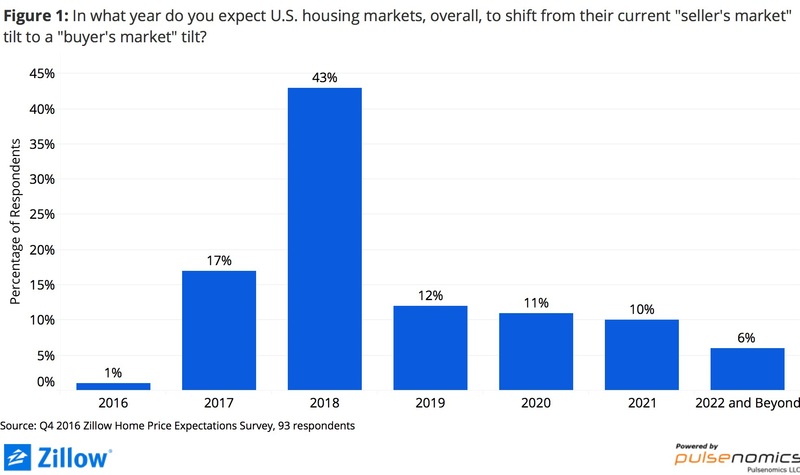 In October, the number of Redfin customers requesting home tours fell 3.7 percent from September, and the number of customers writing offers on homes fell 5.9 percent. 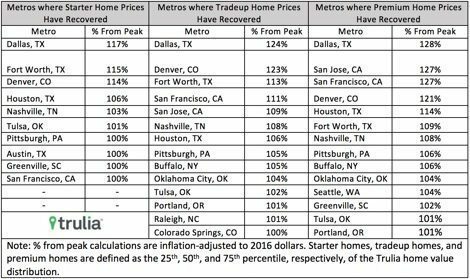 Across the 15 metro areas tracked by the Demand Index, the number of homes listed in October was 9.5 percent lower than a year earlier. Home values rose 6.2 percent over the past year to a Zillow Home Value Index (ZHVI) of $191,200 in October. Rents rose 1.4 percent over the past year to a Zillow Rent Index (ZRI) of $1,402. There are 5.7 percent fewer homes for sale than a year ago, with Boston and Indianapolis reporting the greatest drop in inventory. 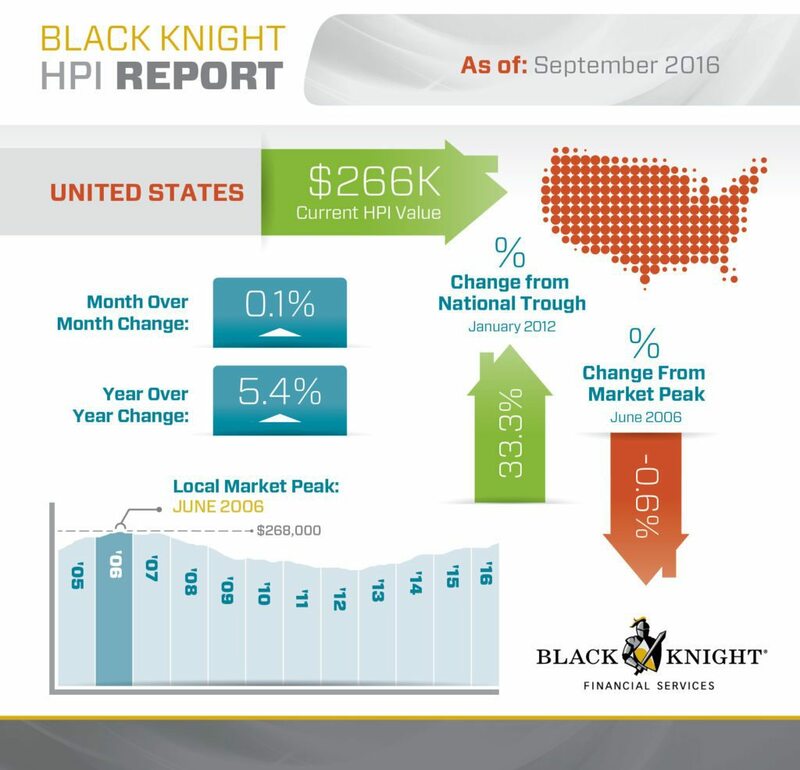 The U.S. HPI was $266,000 in September 2016. This is 0.1 percent higher than August 2016. It’s also 5.4 percent higher than September 2015. Real house prices increased 1.0 percent between August 2016 and September 2016. Compared to September 2016, real house prices decreased by 2.0 percent. Real house prices are 40.4 percent below their housing-boom peak in July 2006 and 19.9 percent below the level of prices in January 2000.